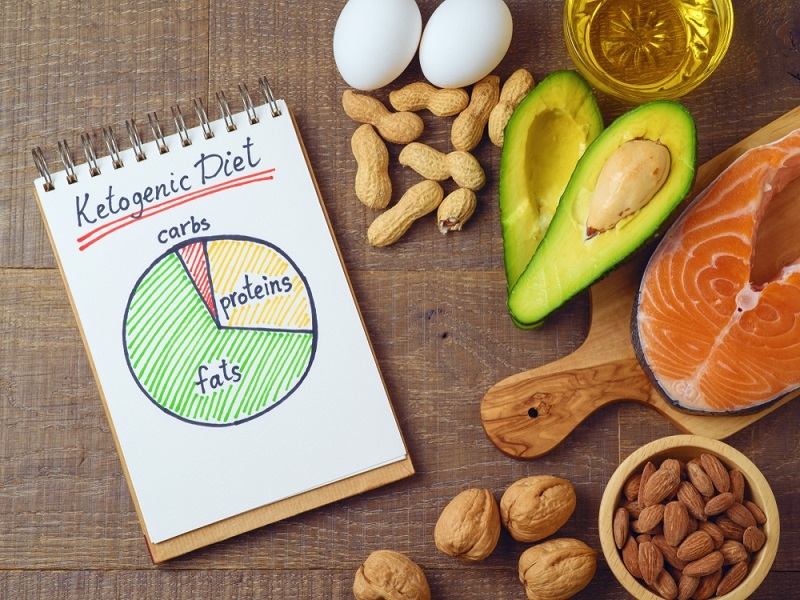 Do you know about the Ketogenic diet? It is based on the combination of food items of low carbohydrates and high-fats. It is similar to the Atkins diet and low carb diet. The objective of this diet is to encourage the body for burning fats instead of carbs. Its purpose is to push the body towards the Ketosis state where liver yields ketones because these are the major source of energy. This state is associated with the fat consumption. It consists of the moderate quantity of protein, low quality of carbs and high-quantity of carbs. To shed pounds, this diet is highly efficient because you do not need to count calories and track a weight loss plan. This diet results in better cholesterol as compared to the low-fat diet. It motivates the body to burn fats instead of glucose. It reduces the sugar level because the food you eat does not have carbs in a high amount. The excess level of sugar comes under control when you decrease the intake of carbs. It prevents you from diabetes. For the people with diabetes, handling diabetes becomes easier. Keto diet is excellent to control cholesterol levels because it boosts triglyceride levels. Cholesterol is the major reason for the arterial blockage. It shows a noticeable drop in LDL and hike in HDL accumulation. In this way, you will be able to maintain your blood pressure. In this way, you will be able to maintain your blood pressure. The low carb food contains a good amount of omega-3 fatty acids. It assists in insulin optimization. This is good for the athletics. Due to the poor diet, teens face Acne problem. It is due to the hormonal over performance or imbalance. With the help of the low-carb diet, this problem can be solved very easily. To live fit and healthy water is essential for the life. Drink more than 12 glasses of water in a day. Stay hydrated because water plays an important role to keep you fresh and active all the time. Add lemon water to your plain water because it is good to cleanse your body from the toxins.